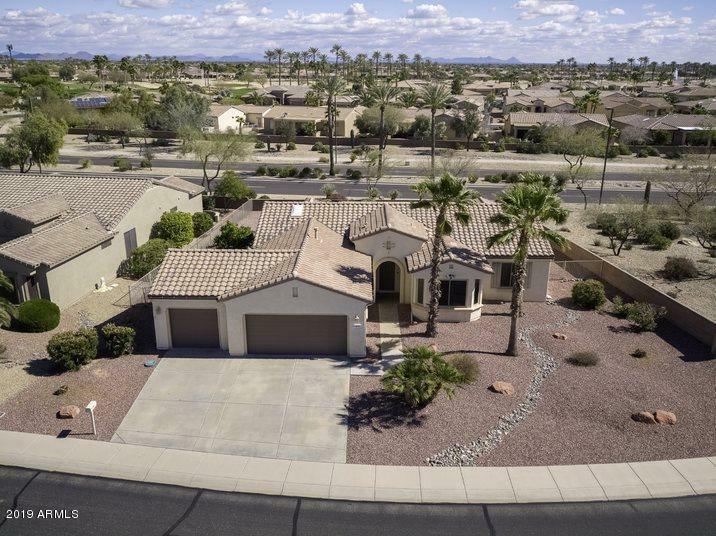 All SUN CITY GRAND CIMARRON homes currently listed for sale in Surprise as of 04/23/2019 are shown below. You can change the search criteria at any time by pressing the 'Change Search' button below. "Popular Borgata model in the desirable sought after community of Sun City Grand! Close to shopping, golf and everything SCG has to offer. Great room floor plan offers 3 bedrooms, 2 baths, with a 4 ft extension, and 3 car garage. The kitchen offers a breakfast nook with bay window, corian counters and pantry. The master retreat has a beautiful bay window with a window seat and en suite bath with dual sinks and a walk in closet. The secondary & 3rd bedroom/Den is perfect for guests with a full ba"